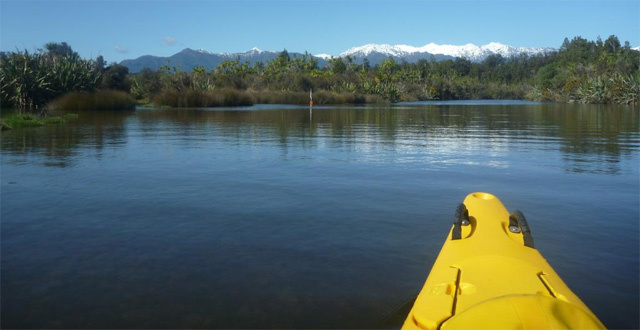 The Ōkārito Lagoon Kayak Trail on the West Coast was officially opened by Norm Thompson, deputy CEO of Air New Zealand, on Friday 5 October, in defiance of some of the worst weather to hit the West Coast this spring. 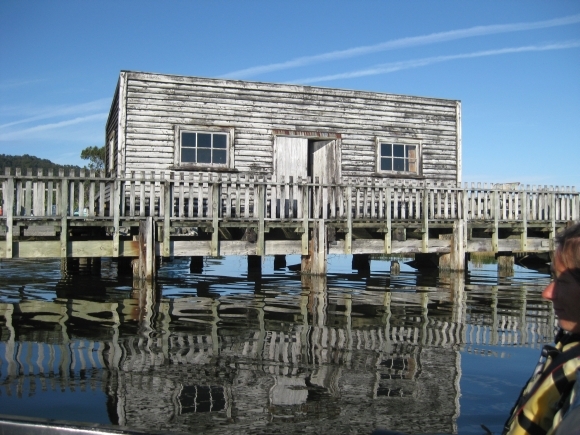 Approximately 30 hardy souls, warmed by sausages and kumara patties at a pre-event barbeque, fought their way through the driving rain and 40 knot winds to the shelter of the shed on the historic Ōkārito Wharf, near Westland National Park. While the weather put paid to plans for an inaugural mass kayak flotilla, led by Olympians Luuka Jones and Holly Robinson, these two champion athletes cheerfully assisted with the other important rituals of the day, including arranging the official ribbon for cutting, and planting soil-stabilising carex grasses on the lagoon shore. 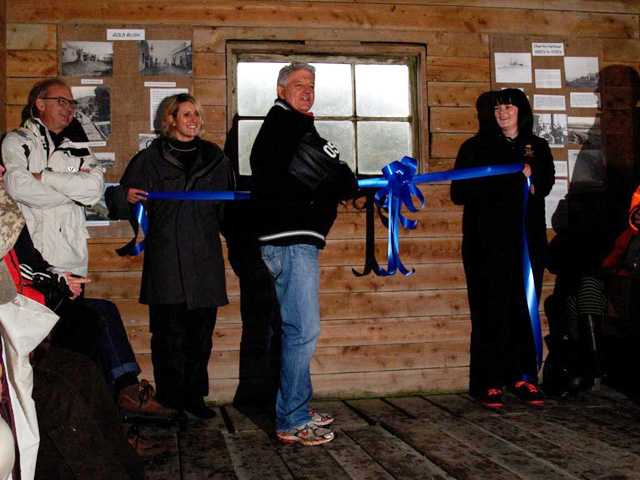 In the comparative calm of the wharf shed, Norm Thompson cut the ribbon to declare the South Island’s first kayak trail officially open to the public. Norm spoke about the range of projects that have been sponsored by the Air New Zealand Environment Trust so far, and the great relationship that the Trust and Air New Zealand as a whole have built with DOC in their restoration and sponsorship activities. 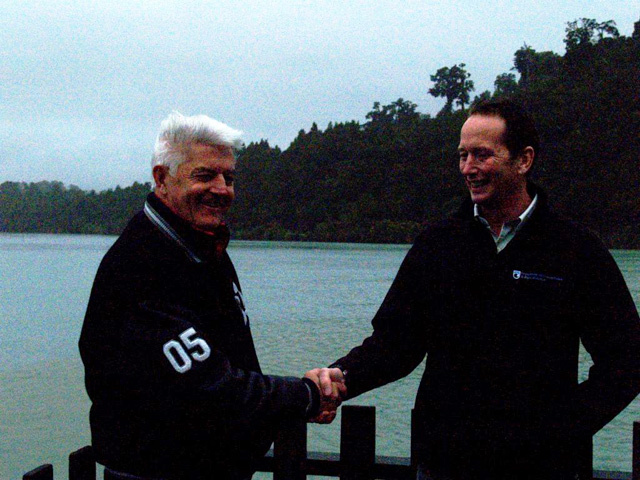 Highlighting the successful partnership that has seen the creation of this trail Norm Thompson said “DOC manages one of the most important tourism assets in New Zealand—its incredible natural environment, so as the company that brings more visitors to this country than any other, Air New Zealand values being able to work with DOC on projects such as this to protect and enhance that environment”. 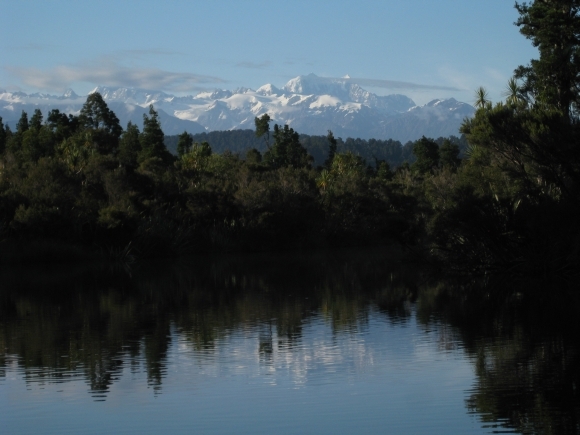 The opening of the trail is a highlight of the Glaciers to Wetlands Restoration Project, funded by the Air New Zealand Environment Trust, which as well as restoring the wetland complex to its former glory is also making it easier for visitors to the area to enjoy what wetlands have to offer to people and the other inhabitants of the complex ecosystem. 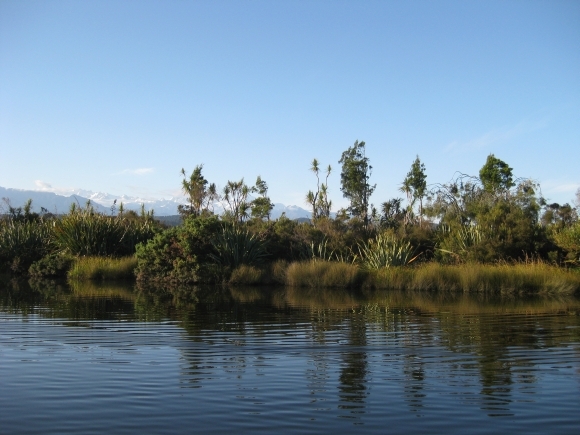 It’s intended that, through the provision of good information and a well-thought-out guide to the kayaking possibilities on the lagoon, New Zealanders and overseas visitors will develop an appreciation of the importance of healthy wetlands, and that the region will be a winner economically with increased tourist numbers and longer stays in the region. 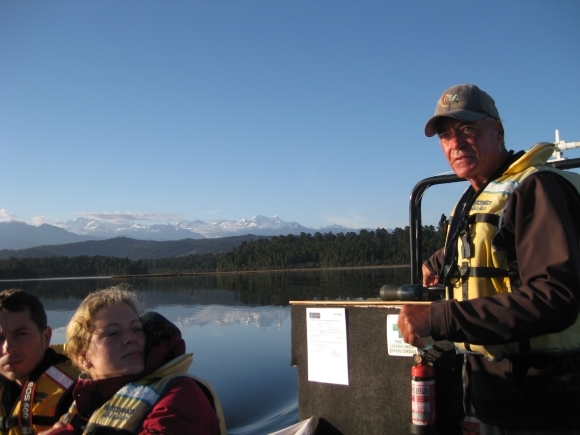 Clare Backes, chair of the West Coast Tai Poutini Conservation Board said, “There is a real need for this kind of eco-sensitive development which showcases our unique environment and its flora and fauna. Both New Zealanders and international tourists will appreciate this new development by DOC”. 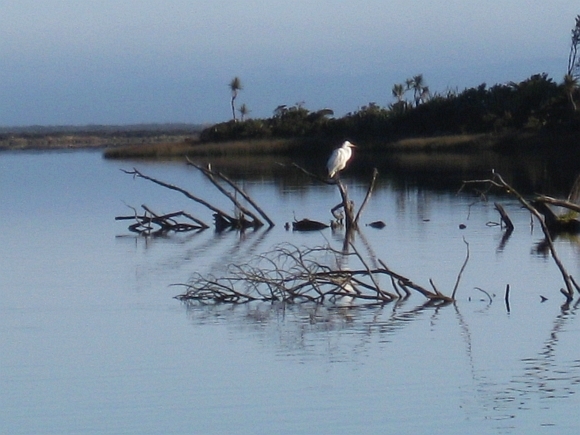 The kayak trail winds through seven kilometres of New Zealand’s largest unmodified wetland system—the Ōkārito Lagoon. 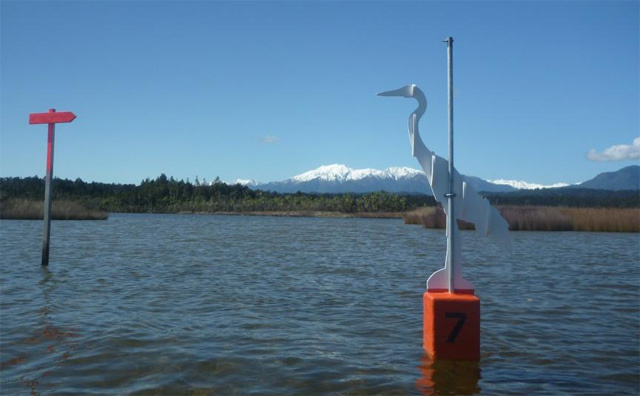 The kayakers follow cleverly designed numbered kotuku (white heron) markers that correspond to information in a waterproof trail guide that has been designed to fit on the deck of a kayak. As the rain beat heavily on the region, river levels rose quickly, but out at the lagoon, water levels were affected mainly by the tide, thanks to the flooding mitigation that is one of the essential services wetlands like Ōkārito lagoon provide. On a sunny day it looks like this!